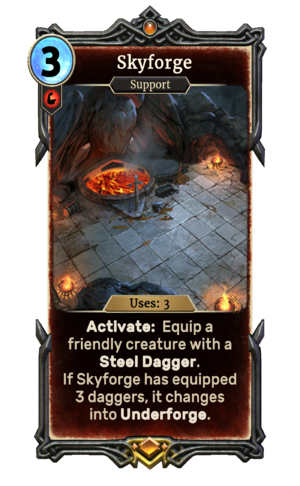 Skyforge is a unique legendary Strength support card. It is part of the Heroes of Skyrim expansion. The Skyforge first appeared in Skyrim. This page was last modified on 13 October 2018, at 06:59.